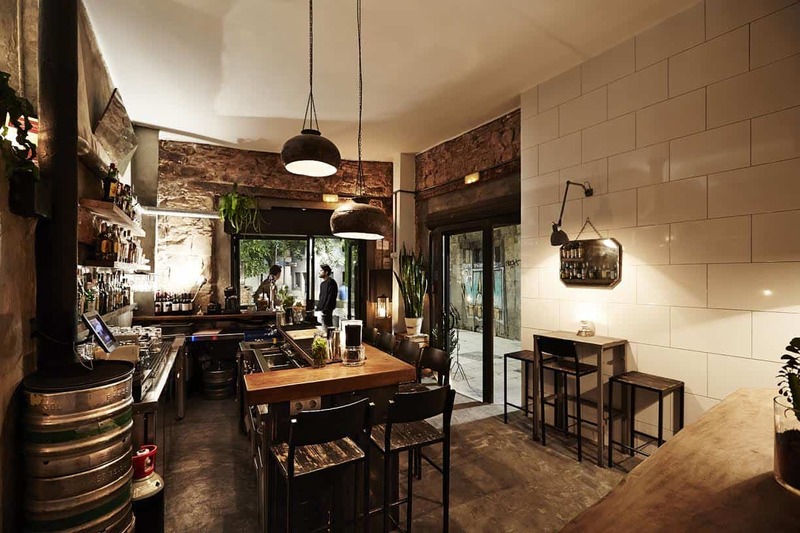 Bloody Mary Cocktail Lounge is situated in Gràcia, tucked away in a side street but not far from the hussle and bustle of Avinguda Diagonal. Barman Alessandro formerly worked at the nearby Hotel Casa Fuster, and his charm is matched with a deep knowledge of cocktails. La Plata has a simple menu of only four classic dishes, which have not changed since it was founded in 1945. These are a simple salad of tomato, onion and Arbequina olives, botifarra (Catalan sausage), fresh anchovies and finally deep-fried sardines (pescaditos).